A hot spring is an all natural body of water that is warmed geo-thermally. A hot spring’s water is far above the temperature of the surrounding earth and is usually around 100 degrees. These mineral-rich baths offer a variety of natural health benefits you may not be aware of, including: boosts blood circulation, reduces stress, promotes sleep, relieves muscle pain, relieves uncomfortable eczema and psoriasis symptoms. The Cave bath of Miskolctapolca, which is part of the city of Miskolc is nearly unique in Europe (there is one other cave bath in Slovakia). 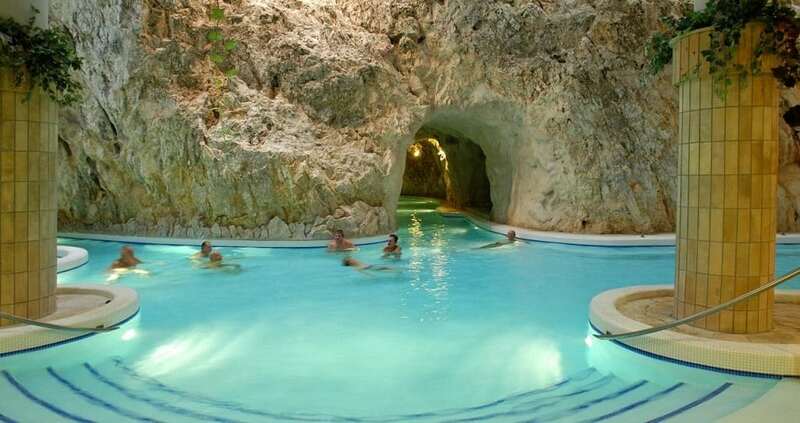 It is a bathing resort placed in a cave and above hot fountains. The 30°C/86°F temperature water and the climate of the cave has the power to cure, and since it has a lower salt content than most thermal waters (around 1000 mg/liter), people can bath in it for an unlimited amount of time in joint-case. 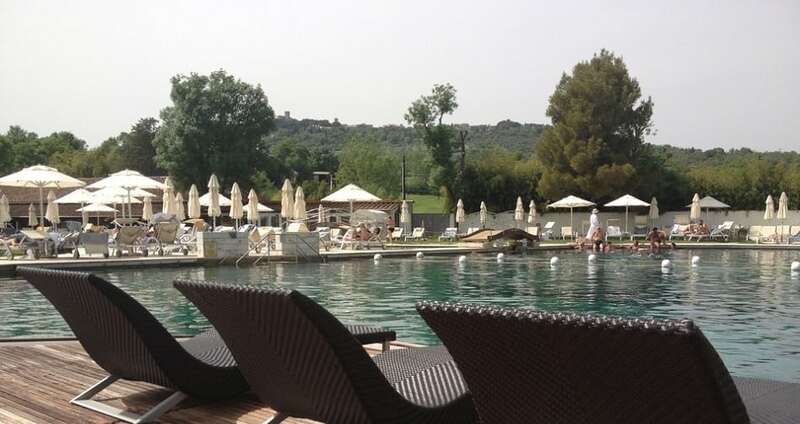 A truly idyllic Tuscan escape, Terme di Saturnia is one of Italy’s premier thermal spa resorts. One legend, according to the Etruscans and Romans, was that the Terme di Saturnia was formed by lightning bolts, thrown by Jupiter. 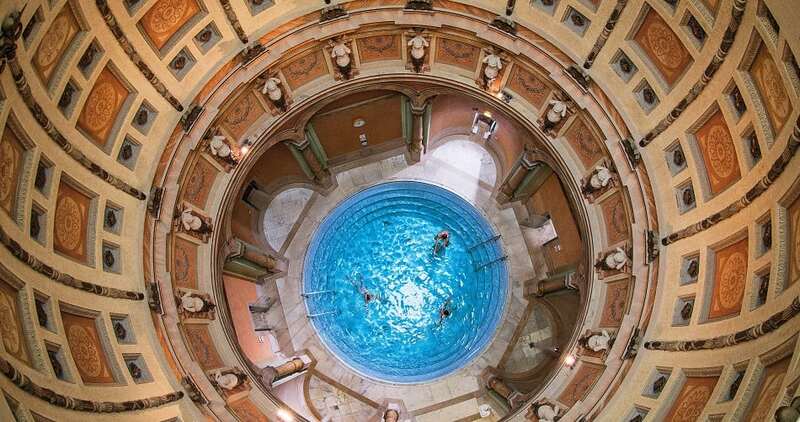 Hungary has been the country of baths for many centuries: from Roman to Turkish empire. 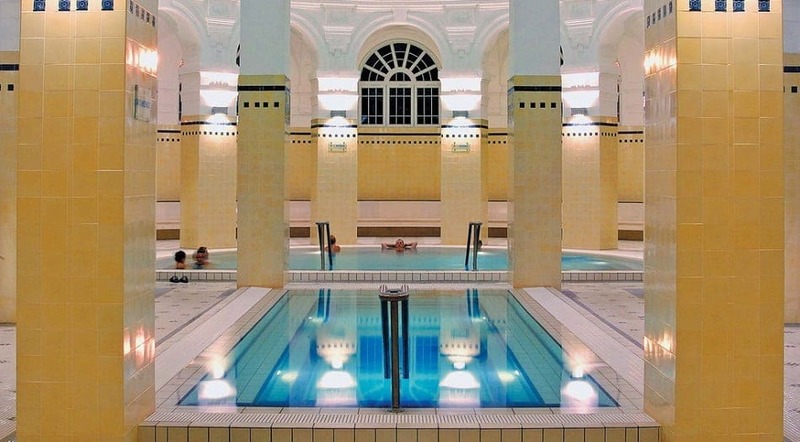 Szechenyi Baths (built in 1913) and designed by of Gyozo Czigler is the most visited attraction in Budapest. 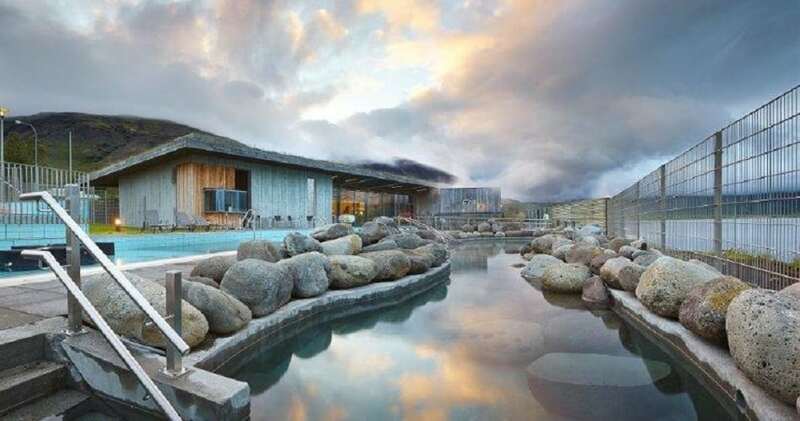 There are 18 pools of medicinal natural hot spring waters, 10 saunas/steam cabins, several massage therapies, facial treatments, and much more. 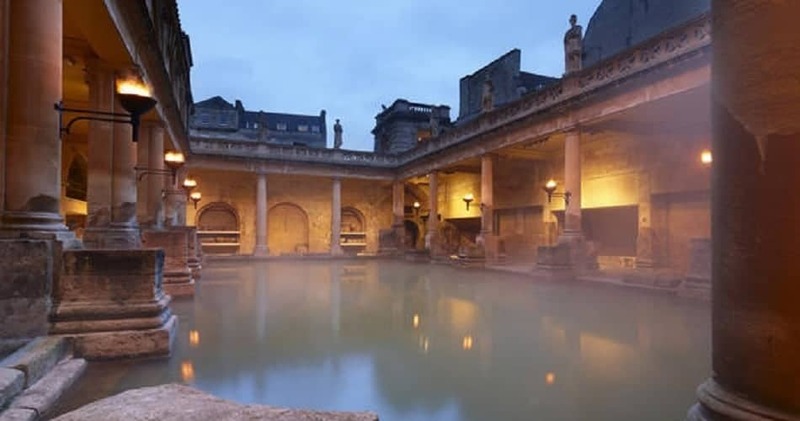 It is the best-preserved ancient Roman spas in the world. 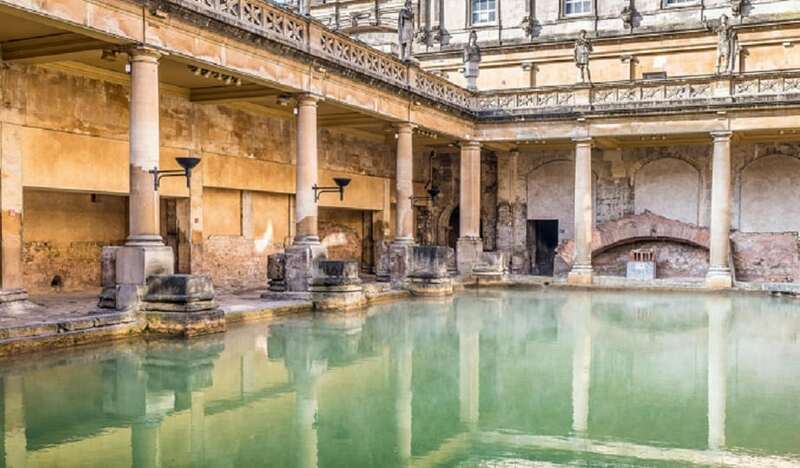 The Romans, over 2000 years ago, constructed a complex of bathhouses above Bath’s three natural hot springs. Today, it is still possible to relax in the indoor Minerva Bath and the open-air rooftop pool with spectacular views over the city of Bath. Additionally, there are aroma steam rooms and over 40 spa treatments and packages. 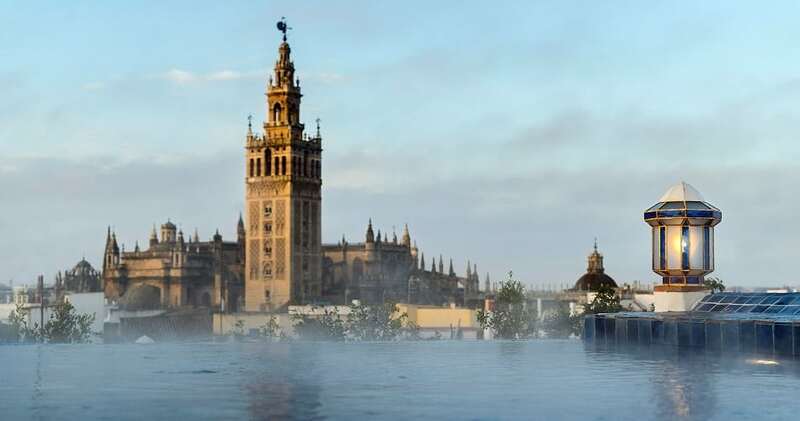 An ancient Moorish bath, restored in the 16th century, located in the center of the Santa Cruz neighborhood, a paradise in heart of Seville. Arab baths in Seville have a typical hammam structure with 4 rooms: Albayt al Maslaj, Albayt al Banid, Albayt al Wastani, Albayt al Sajuno. 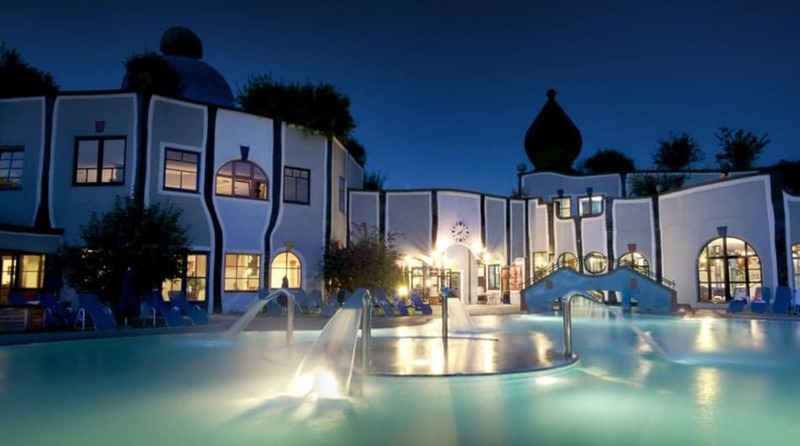 South-east Austrian spa designed by the eccentric Austrian architect Friedensreich Hundertwasser. 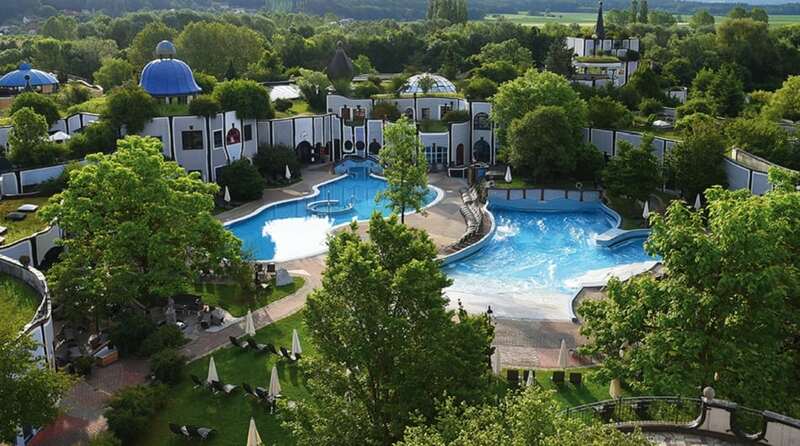 Connected with two curative springs, Rogner Bad Blumau hosts a Dead Sea salt grotto alongside its pools, saunas and treatment rooms. Also, the attached hotel is very futuristic. 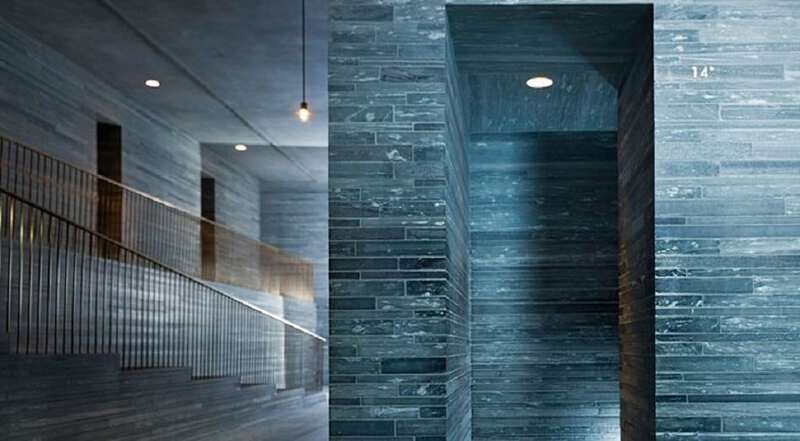 Trendy and minimalist spa, only 200 km journey from Zürich. 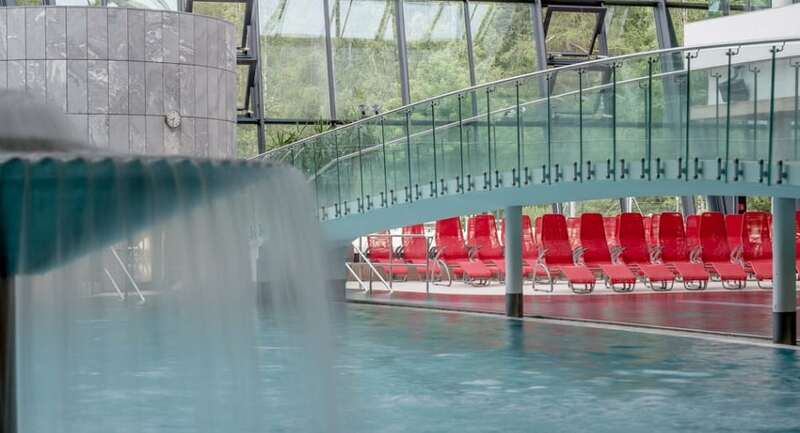 Night bathing is offered to guests who bed down at Therme Val’s adjoining hotel. 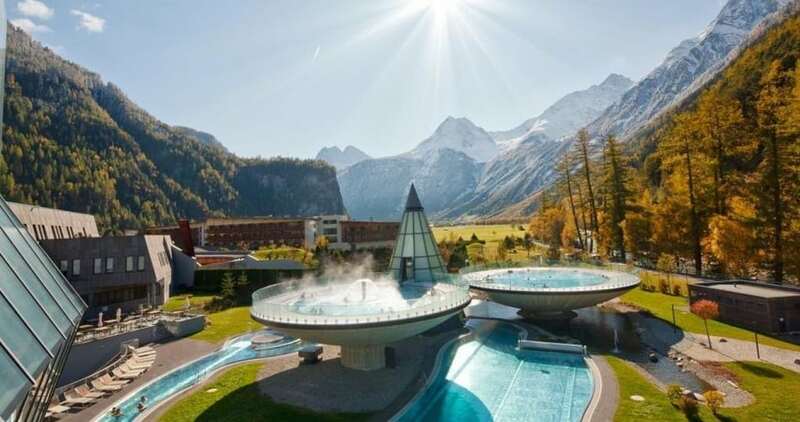 These hot springs are the architectural masterpiece of the award-winning Swiss architect, Peter Zumtho. 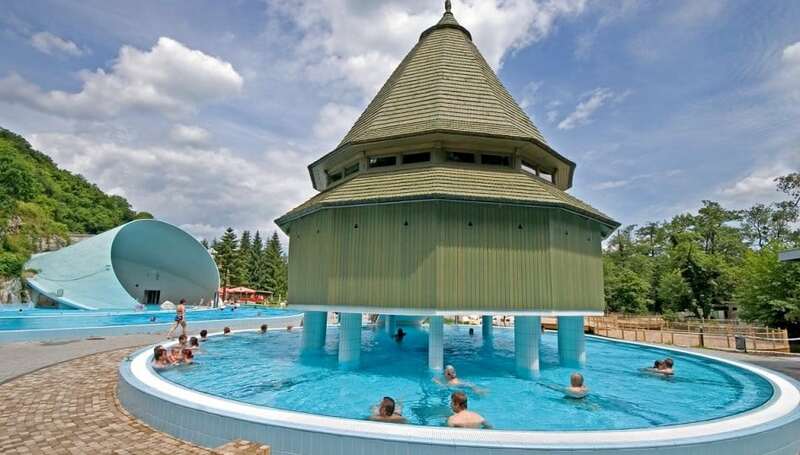 Discovered in the 16th century, Längenfeld’s geothermal spring has been active since 1997. 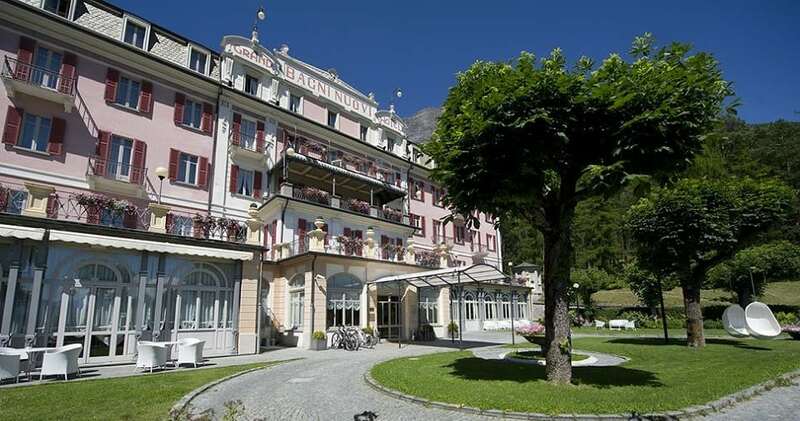 This is the best thermal spa resort in the Alps. There are 12 indoor and outdoor pools with water temperatures from 93°F – 97°F. 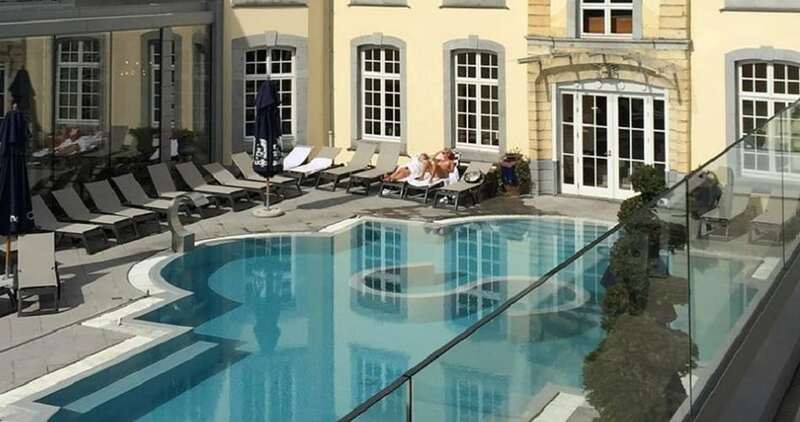 Friedrichsbad is situated at the foot of the Altstadt in Baden Baden, and it is a unique combination of Roman and Irish bathing traditions. The elaborate frescoes that decorate the central dome, provide a sensory treat for body and soul. The 17 steps ritual is a must. Changing temperatures and varying baths guarantee a feeling of total relaxation. Also, Mark Twain loved it. 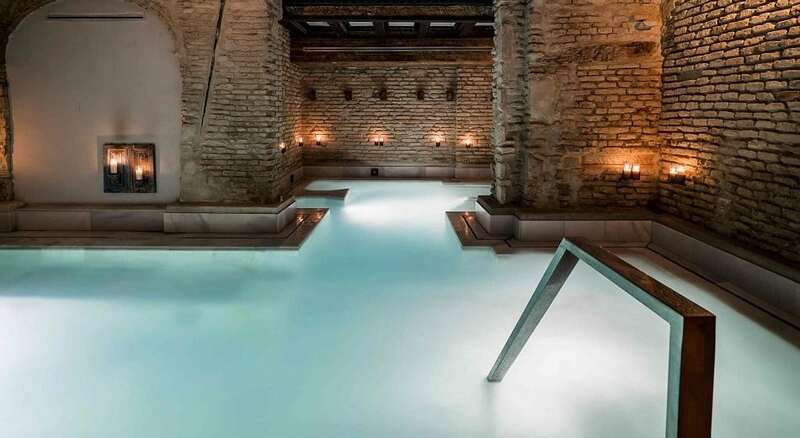 The area spans over two thousand years of history, from the Roman Baths through the secular caves that lead to one of the hot springs dating back thousands of years, up to the panoramic pool outdoors overlooking Bormio. 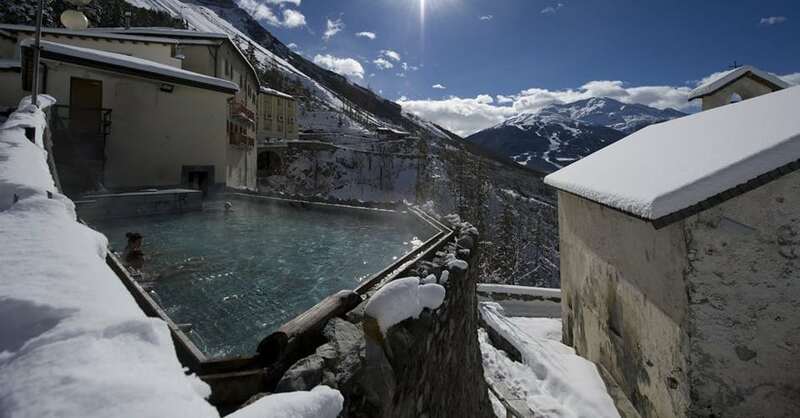 The Bagni Vecchi spa resort offers different thermal itineraries, from the panoramic outdoor rooftop swimming pool with a view on Bormio to Roman baths. 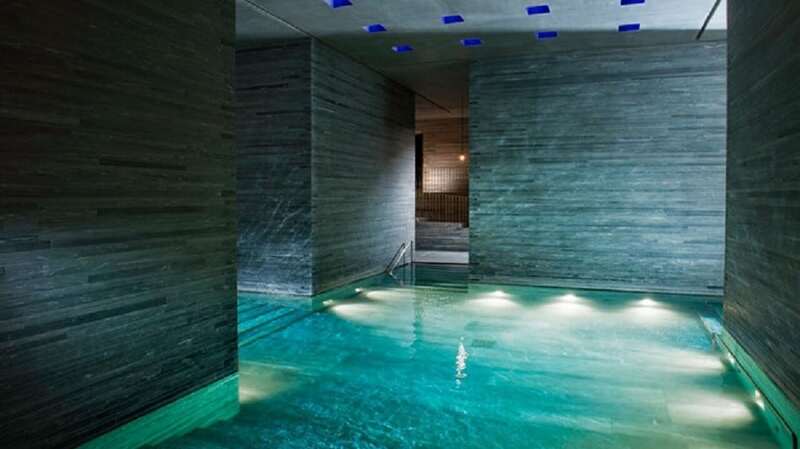 Let yourself be pampered in a serene and refined atmosphere while enjoying the benefits of thermal water. A treat for body and spirit. It hosts two Turkish baths, a caldarium, and a salt cabin. 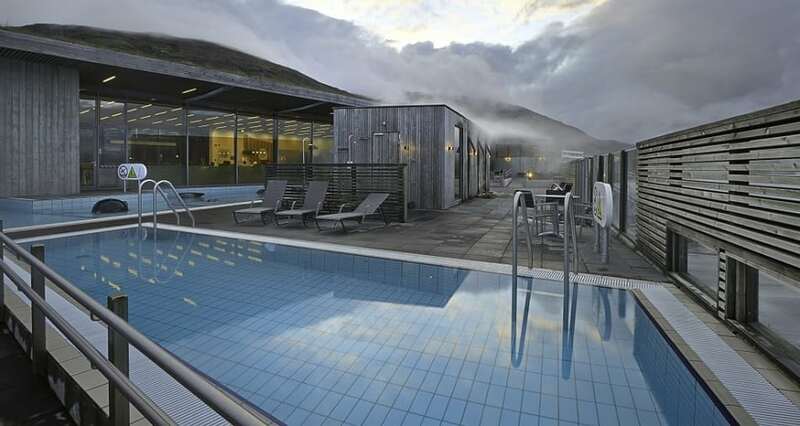 Since 1929, locals have been enjoying the healing powers of the natural steam baths next to Lake Laugarvatn. 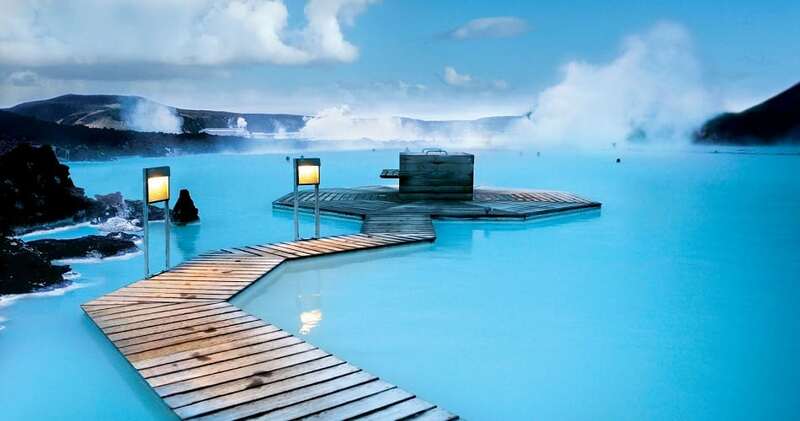 Located 77 km from Reykjavík, the bathing pools temperature varies depending on the temperature of the hot spring and weather, usually between 40°C (104°F) and 50°C (122°F). The springs open onto the picturesque geothermal Lake Laugarvatn. The sulphuric steam rooms are another reason to visit. 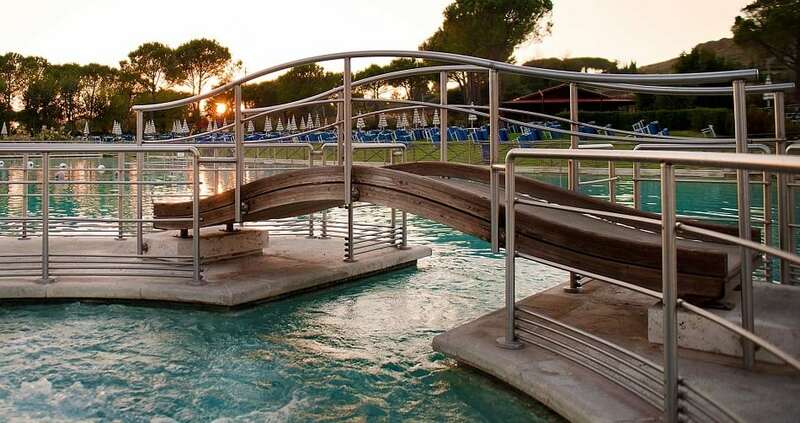 Terme di Sirmione S.p.A. offers 2 thermal centers, Catullo Spa and Virgilio Spa, Aquaria Thermal SPA, three SPA hotels with thermal departments: the five-star Grand Hotel Terme, the four-star Hotel Sirmione e Promessi Sposi, the three-star Hotel Fonte Boiola and the Hotel Acquaviva del Garda dedicated to meetings and events. 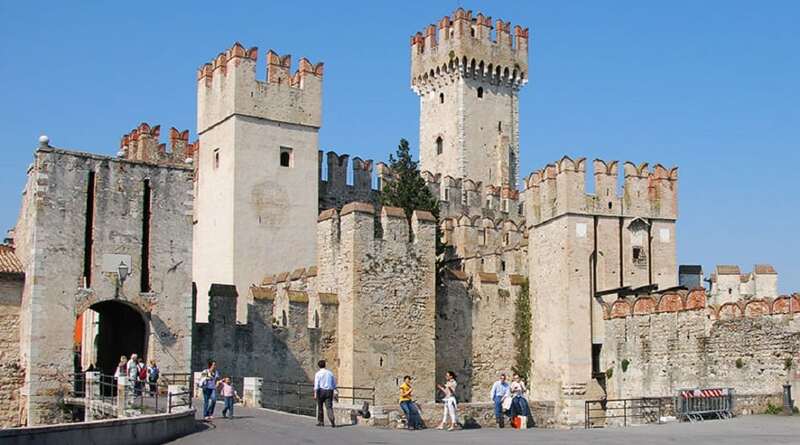 The company has enhanced the thermal offering with a selection of brand products: Acqua di Sirmione. 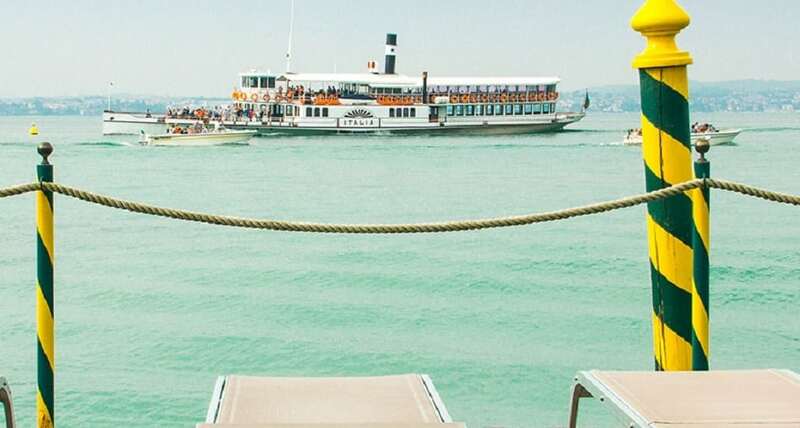 In the mood for a good swim? Check out these spectacular pools.